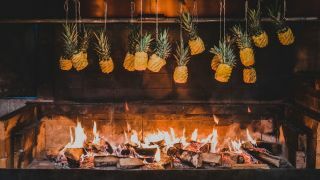 The Pink Lady Food Photographer of the Year 2018 shortlist has been unveiled, showing off the best of the best food photography from around the world. The organisers said the competition received around 8,000 entries from 60 countries around the globe. More than 500 entries have been selected from this initial pool. InterContinental Food at the Table – Images taken at hotels, restaurants, pubs and bars. The judging panel this year was chaired by food photographer David Loftus, who has worked with Jamie Oliver on all but one of the chef’s published works. The rest of the panel included: chef Ferran Adria; Alison Morley, Director of Documentary Practice and Visual Journalism from the International Center of Photographer in New York City; His Excellency Ali Bin Thalith, Secretary General, HIPA, Dubai; Sheila Dillon from BBC Radio 4’s The Food Programme; and Rein Skullerud, Head of Photo Unit at the World Food Programme in Rome. The overall winner will be chosen at the Judges’ Dinner at the Saatchi Gallery later in the month, and will be revealed at the Champagne Taittinger reception in April. To see the full shortlist, head to the Pink Lady Food Photographer of the Year site.